In Parking Management Best Practices author Todd Litman describes an integrated approach to parking management, which will help you maximize your current parking to better meet the needs of downtown residents, workers, shoppers, and other visitors. Traditionally, downtowns have tried to satisfy parking demand by increasing supply. 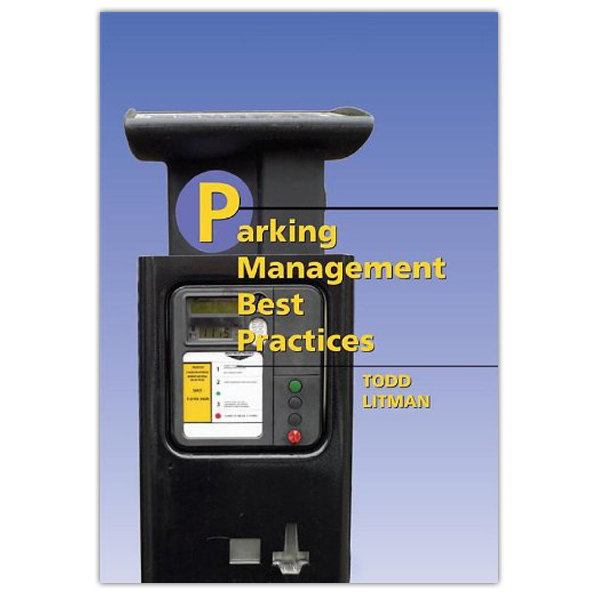 Instead, Litman advocates the use of a wide range of parking management strategies to make the most efficient use of existing parking. Improving maintenance, security and pedestrian access to increase the number of useable parking spaces. Throughout the book Litman provides real-world examples, illustrations and case studies of these strategies in use in cities of all sizes throughout North America. Individually, the strategies described in the book can reduce parking needs by five to 15 percent. However, when combined into an integrated parking management program they can often reduce parking needs by 20 to 40 percent. Parking Management Best Practices provides a blueprint for evaluating and implementing these strategies and developing an integrated parking plan for your community. Todd Litman is director of the Victoria Transport Policy Institute, an organization dedicated to developing innovative tools for transportation decision making. He has worked on studies that evaluate the full costs and benefits of alternative transportation policies and investments. He has helped develop transportation demand management and parking management plans, and his research has been used worldwide for transportation planning and policy analysis. Parking Management Best Practices is guaranteed. If you are not 100% satisfied, you may return it within 30 days for a full refund.